Customized Safari or Scheduled Tour? Designed for you based on your dates, budget and interests - Our true specialty - call us to design a trip. (prices may vary seasonally and/or based upon the number of guests joining the departure). We have organized our Scheduled Safaris into two categories (Budget and Value) based upon price (see below). 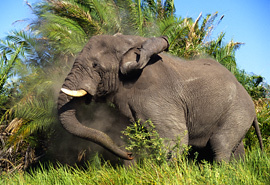 Scheduled safaris with fixed base prices below US$ 4,000. Scheduled safaris with fixed base prices starting at US$ 4,000. To enhance viewing: After clicking Play, click the Pause button to allow the video to buffer. Considering an African Safari but overwhelmed by all the planning and details? At Eyes On Africa, we take pride in organizing personalized safaris for our clients. 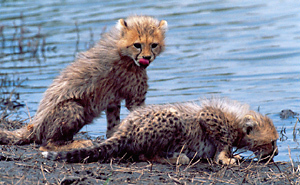 We make sure that each African Safari Tour matches individual interests, timeframe and most of all, budget. We specialize in three types of safaris. Customized Safaris are designed for you, based on your dates, budget and interests. Call and let the experts at Eyes on Africa develop a custom safari itinerary for you. We do all of the research and planning. We cover every detail. All you need to do is pack your bag and enjoy the special wonders of Africa. Our scheduled safaris are offered on a limited basis and depart on set dates. These tours require a minimum of 2 to 4 guests. We have organized these tours into Budget Safaris (priced under $4,000) and Value Safaris (priced starting at $4,000). As for prices, the rates for the destinations we offer cover a wide range and typically vary significantly from the “high season” to the “low season", which are determined based on demand. To check pricing for the over 250 properties detailed on our website, check our Rack Rates pages.